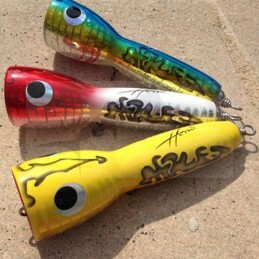 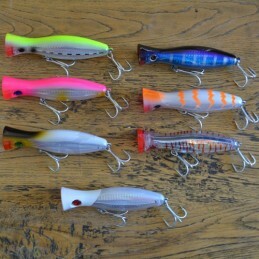 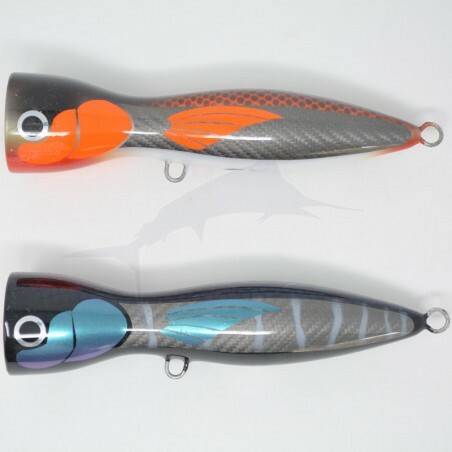 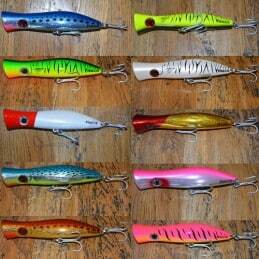 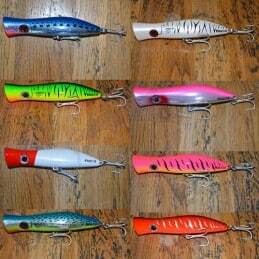 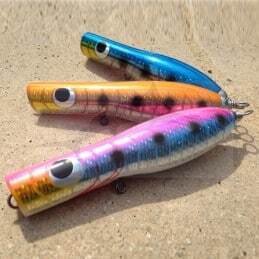 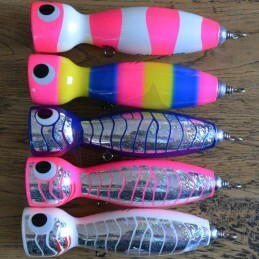 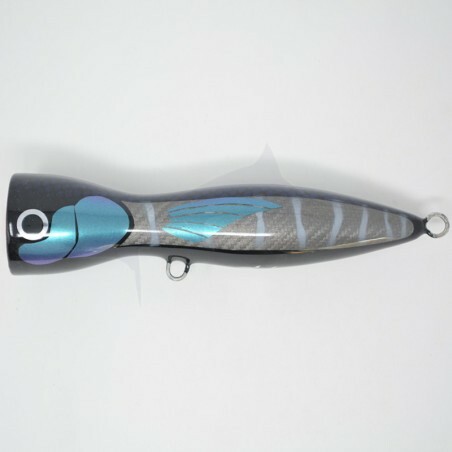 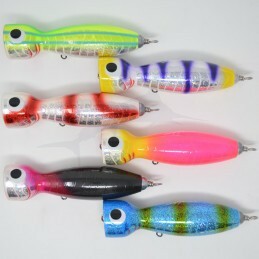 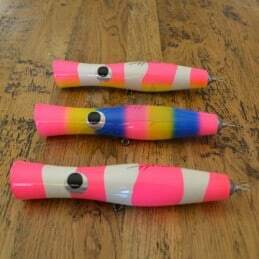 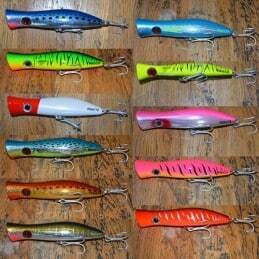 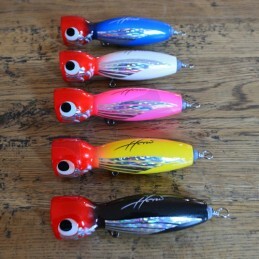 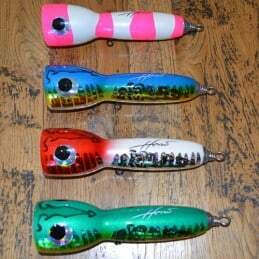 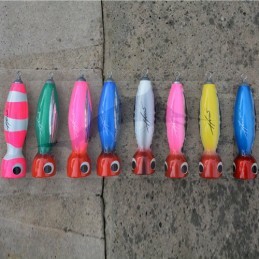 These new models comes with Aluminum Foil to enhance the looks and reflectiveness of the lure. 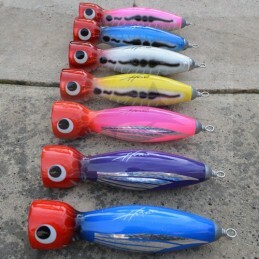 Handmade in Serbia, its new shape with a much more concave cup for its size! 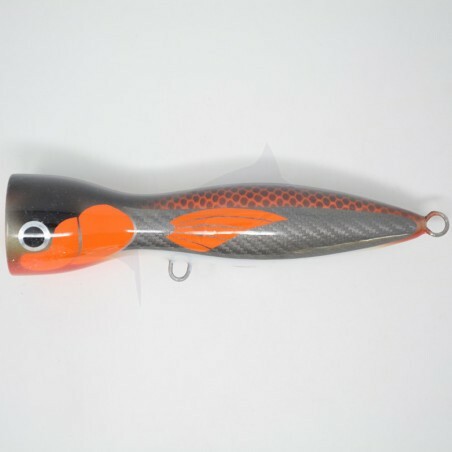 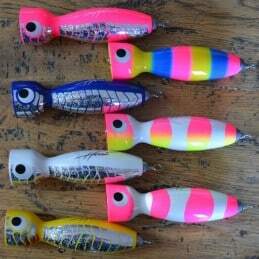 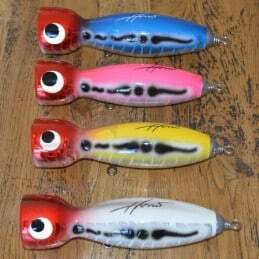 After some amazing results in tropcial waters, this popper is amazing! 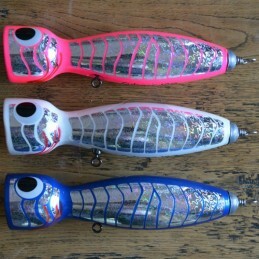 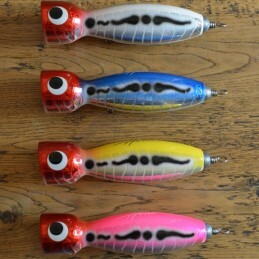 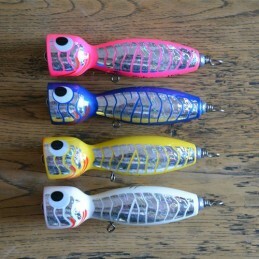 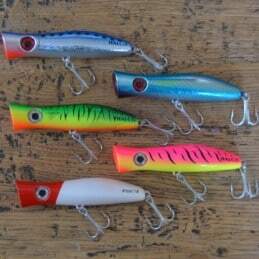 19,5 cm for 140 gr, it will easily be used. 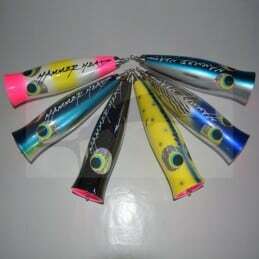 The quality components, epoxy resin, will assure a great protection of the lure.